The five-day event kicks off Wednesday through Sunday at the Walter E. Washington Convention Center. Thousands of Black women from around the country will gather with fellow attendees in Washington D.C. for a whirlwind week of policy discussions, star-studded parties and networking at the 46th annual Congressional Black Caucus Foundation, Inc. (CBCF) legislative conference. The five-day confab kicks off today through Sunday at the Walter E. Washington Convention Center, with additional locations across the nation’s capital. Expect red carpet events such as the Celebration of Leadership in the Fine Arts scholarship gala where the CBCF will honor Cicely Tyson, Richard Roundtree and Dionne Warwick with Lifetime Achievement Awards and actor Chadwick Boseman with the Trendsetter Award. This weekend, President Barack Obama, First Lady Michelle Obama and Democratic presidential nominee, Hillary Clinton, will be special guests at the yearly Phoenix dinner, a black tie affair. More than 100 policy sessions — many open to the public — will examine such topics as criminal justice reform, police brutality, economic opportunity, health, education, and the environment. Indeed, this year’s theme, “Defining the Moment, Building the Movement,” is timely in this era of social justice advocacy, be it Black Lives Matter demonstrations in the streets or athletes protesting against the National Anthem. “It’s a pivotal moment in time for African Americans and the actions we take today will reflect upon future generations,” said A. Shuanise Washington, president and CEO of the CBCF, a non-partisan, non-profit, public policy, research and educational institute. The Congressional Black Caucus was originally founded in 1971 by 13 lawmakers — among them Rep. John Conyers, Rep. Charlie Rangel, and the late Congresswoman Shirley Chisholm — during the Nixon Administration. Today, its 45 members hail from 21 states, the District of Columbia and the U.S. Virgin Islands and have millions of constituents. This week, North Carolina Representative G. K. Butterfield, chairman of the CBC, will be among the leadership helping to drive discussions on voter suppression and what’s at stake for African-American voters. There are less than 60 days until the November presidential election—the first to unfold in decades without protections of the 1965 Voting Rights Act. That’s not the only nod to the 2016 election. Congresswoman Marcia L. Fudge from Ohio will join with the National Pan-Hellenic Council to host a conversation about voting rights and issues of importance to the millennial generation. Meanwhile, leveraging the `Power of the Sister Vote’ will be among the topics discussed at the 8thAnnual Black Women’s Roundtable Policy Forum, which will feature panels of Black women influencers. One panel will discuss results of the 2nd annual ESSENCE/BWR Power of the Sister Vote 2016 Poll that explores the issues and policy priorities that many Black women want addressed in 2017 and beyond by the next President and Congress. “As we face the final leg of the U.S. presidential race, the stakes for Black women, our families and our community have never been higher,” said Essence Editor-in-Chief, Vanessa De Luca. White House senior advisor, Valerie Jarrett, will greet some 450 officials, community leaders, mothers and daughters for what promises to be a powerful town hall co-hosted by the Congressional Caucus on Black Women and Girls, and the Sojourner Truth Legacy Project (STLP). ‘Black Women and Girls in American Media: Overcoming Biases and Boundaries,’ will examine varied images of Black women and girls and how those impressions affect everyday lives. Producer Daphne Valerius will screen her documentary, `The Souls of Black Girls’ and there will be dialogue about ways to overcome biases and boundaries with the goal of empowering Black women and girls through more positive portrayals. “The Sojourner Truth Legacy Series passionately elevates issues of importance to Black women,” said DeLuca. The conference will also spotlight criminal justice, police brutality and related issues. 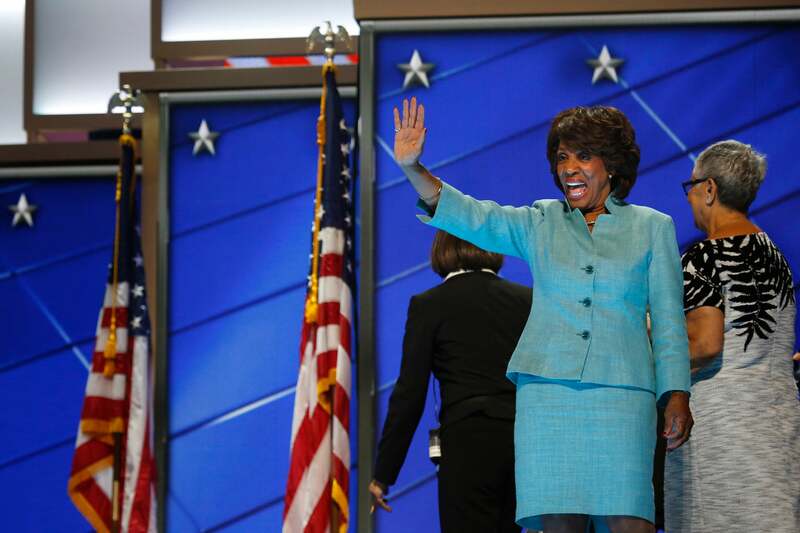 Congresswoman Maxine Waters will host a panel discussion to focus on policy solutions that can be found between the community, the Black Lives Matter movement and law enforcement. Perry Tarrant, the new president of the National Organization of Black Law Enforcement Executives (NOBLE) will participate. And the National Medical Association, which represents some 40,000 Black doctors, will announce its public health platform, policy initiatives and action plan for 2017. Among them will be addressing public health crises within the African American community such as gun violence. “Gun violence and shooting deaths are increasingly a public health crisis in the Black community,” said Edith P. Mitchell, MD, Immediate Past NMA President.